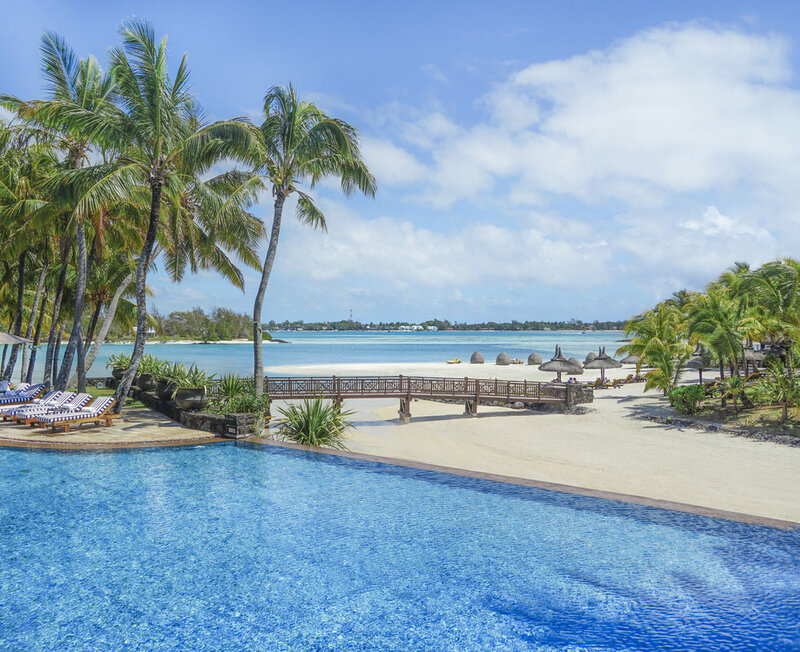 Shangri-La's Le Touessrok Resort & Spa, Mauritius has reopened in November 2015 after an extensive renovation. The resort property is designed and named after Le Touessork because of the rich history behind the location. 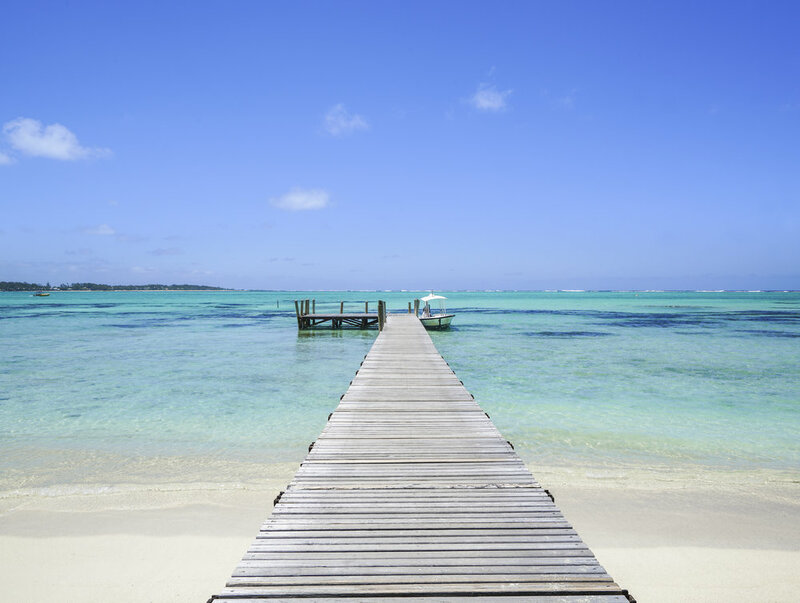 Shangri-La is nestled along the eastern coast of the island of Mauritius, aproximately 50 minutes away from the international airport. 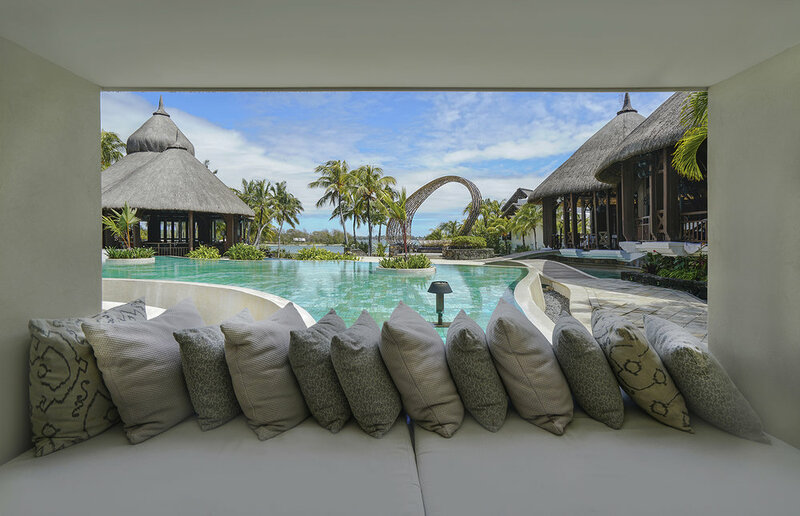 In addition, the resort property also owns a private island that is adjacent to the famous Île aux Cerfs, an island that is known for having the largest lagoon, and most well preserved white sandy beaches in Mauritius. During low tide, the two private islands are connected. There are continuous speedboat services throughout the day that will take hotel guests back and forth to both private islands, where guests can choose to enjoy a relaxing afternoon at different beaches. There are over 200 rooms and suites, plus 3 wonderful exclusive villas here at Shangri-La Mauritius. All the rooms are spread along the beach, most with direct access to beachfront, and have uninterrupted views of the beautiful Indian Ocean. 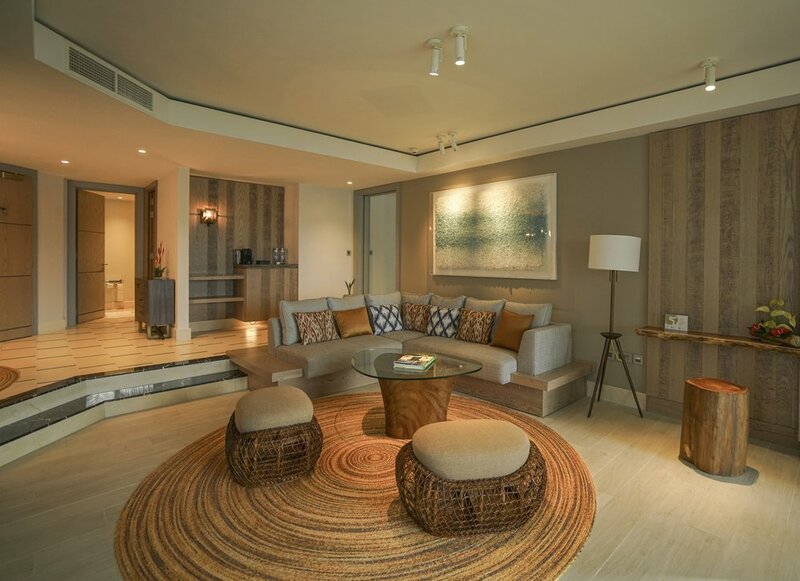 I personally really love the details of the interior design here at Shangri-La Mauritius, it kept a nice balance between the modern contemporary look and the elements of tropical island. The newly renovated resort has brought in many tasteful furnishings, and used many indigenous materials to compliment the surrounding natural beauty. CHI, the spa treatment center, is inspired by the traditional Chinese philosophy - "chi," the word means aliveness, the life force energy, or life breathe. Also known as Ki, or Qi, it is often associated with the human body's circulation, where chi must flow freely within one's body to achieve a balanced and healthy lifestyle. In another word, if a person's circulation, or chi is blocked, it can bring disease and illness. At Shangri-La's CHI spa center, it promotes different types of treatment in releasing a body's blockages. During a body massage, the spa therapist focused on stretching and the movement between pressure points, releasing tension between the muscles and allowing "chi" to flow. 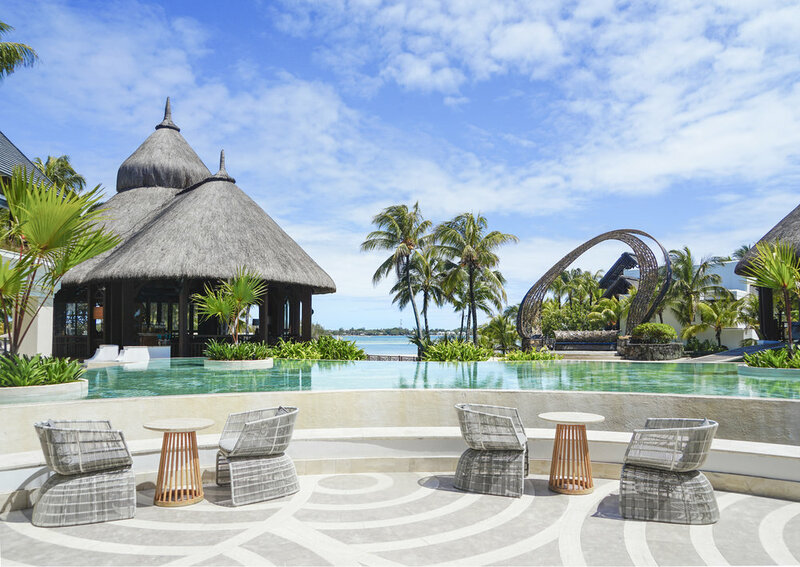 Shangri-La Mauritius features 5 different restaurants, using traditional spices and fresh ingredients to cater every preferences, ranging from Western style to Asian cuisines. Kushi, located near the main entrance overlooking the beautiful lagoon at Ilot Mangenie, serves specialized Japanese food including sushi by a master sushi chef, shabu shabu with signature kobe and wagyu beef, yakiniku, and also traditional Omakase set menu. This covers a large range of different delicious Japanese cuisine. Le Bazar, the main breakfast buffet open to all guests, caters a large range of international food option. Besides the noodle bar and the different types of dim sum selections, my personal favorite has to be the amazing juice bar at the breakfast buffet. I was so in love with the large range of cold-pressed juices, smoothies, and sugar cane infusions that they offer. Republik Beach Club & Grill, is a contemporary restaurant that serves Mediterranean cuisine and barbecue food. It is also an exclusive a la carte breakfast station for guests who are staying at the Frangipani suites (they make excellent steak and eggs). After sunset, this place turns into a theme night with live music and performance, where guests can enjoy freshly grilled produce and seafood while enjoying the bond fire and night lights decorations. Safran, probably one of the most popular restaurant here at Shangri-La Mauritius, serves authentic Indian and Mauritian cuisines prepared by Chef Ramesh Bundi. Another special dining option here at Shangri-La Mauritius is their beach restaurant at the private island, guests can enjoy a beautiful lunch experience with sandy toes and ocean breeze. They serve a fantastic range of fresh food choices, including my favorite grilled seafood platter which comes with lobster, large prawns, calamaris, catch of the day, and mixed vegetables. YUM!